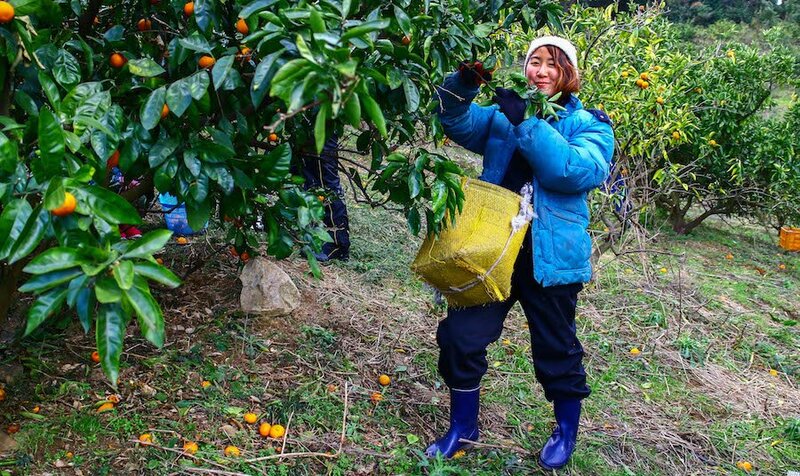 Have you ever considered spending several months at a time farming in Japan as part of the WWOOF (World Wide Opportunities on Organic Farms) programme? 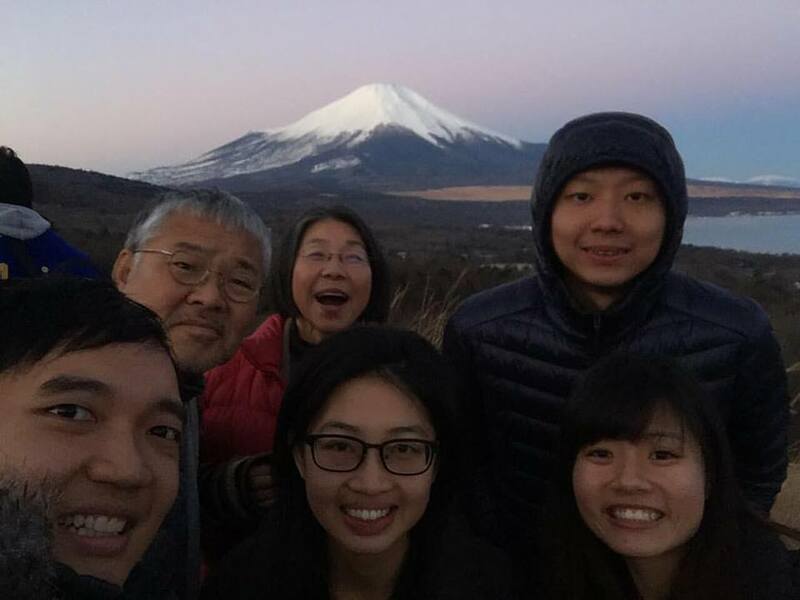 Shermain, Ken and Kai Ni took time off work last year to do just that, hopping from one farm to the next, accumulating meaningful memories, a vast array of knowledge, and friendships along the way. Shermain even ended up finding employment in Kagawa, where she is now based. Shermain travelled as an individual while Ken and Kai Ni travelled as a couple. In this post, they relate their WWOOFing experiences, and dispense some advice on how you can be prepared for your adventure! 1. How long did you go for and which towns did you visit? I WOOFed from 2nd August 2016 – 30th October 2016, went and volunteered at Kamikatsu from 21st Nov to 15th Dec, and then back to Kagawa to WWOOF all the way till 25th Jan.
2. Why did you decide on visiting these towns? Hiroshima (h30077): I wanted to visit the Hiroshima memorial museum, so I decided to find a WWOOFing place in Hiroshima. I chose my host because he not only owns an organic farm, he has a café and a business that turns elephant waste into paper. I thought that it’s pretty interesting. Ayagawa, Kagawa (h32438): I wanted to go to Kamikatsu, so I was looking for a WWOOFing place around that area. I met a WWOOFer at Hiroshima who told me about her WWOOFing experience at Kagawa, which seems pretty interesting. Kagawa is just 2 hours drive away from Kamikatsu. After hearing how eco-friendly the host is, I was hoping that he would be interested to visit a zero waste town and will take me along with him. Shizouka (h6885): My American friend who introduced me to WWOOFing highly recommended I WWOOF at this place. He said they are the warmest family and they treat WWOOFers like a part of their family. They provide really good accommodation and meals for WWOOFers. It was true, I had a great time there. Fujino, Kanagawa (h35620): I wanted to fly off from Tokyo, so I was looking for a place near Tokyo. I am interested in F&B and tourism industry, Fujino Club has a farm, restaurant, and guest house, which are all the things that I am interested in, so I thought it will be a good place to learn. 3. Which WWOOFing location did you enjoy the most, and why? My Kagawa host is a musician who plays the Djembe. He owns an event hall which he frequently hold concerts at; farm, and 2 guest houses. He is a very open-minded person, very eco-friendly, cares a lot about the wellness of WWOOFers, and always encourages us to experiment with things. The first question he asks when a WWOOFer settle down at his place is “what do you like to do or wish to learn?”, same when a WWOOFer was about to leave, he would ask “is there anything else you would like to try during your last few days with us?”. He always tried his best to ensure that we gained something out of our volunteering experience there. I got to experience many new things at his place, like making instruments from bamboo, chopping and sawing wood, building an electric fence for goats, and plastering. WWOOFers also get to join his drum workshops for free and he will take us to his concerts, and even allow us to join in the performance. I met a couple of other WWOOFers when I was there, there are always WWOOFers around. I like all the little stuff that he does to bond WWOOFers together, like asking us to write down what we like or dislike, hobbies etc, and share it with the other WWOOFers. Occasionally we have something called “Praising time” where we choose a person to thank for the things that he or she has done or helped. I think appreciation is so important, even for the smallest thing. I really love how the place is filled with so much positive energy. 4. What was your total spend excluding flight costs? Did it cost more or less than you had intended? It cost less that what I expected. 5. What were the highlights of your WWOOFing journey? Hmmm. I guess WWOOFing at Ayagawa is one of the most memorable experiences, then it’s the 10 days meditation retreat at Chiba. And of course the 1 month volunteering experience in Kamikatsu, that’s not under WOOFing but kinda similar I guess. 6. Are you planning to WWOOF again in the near future? Where would you go next if so? I’m not sure if I will have the chance to WWOOF again, but if I do, I guess it will be at New Zealand. 7. 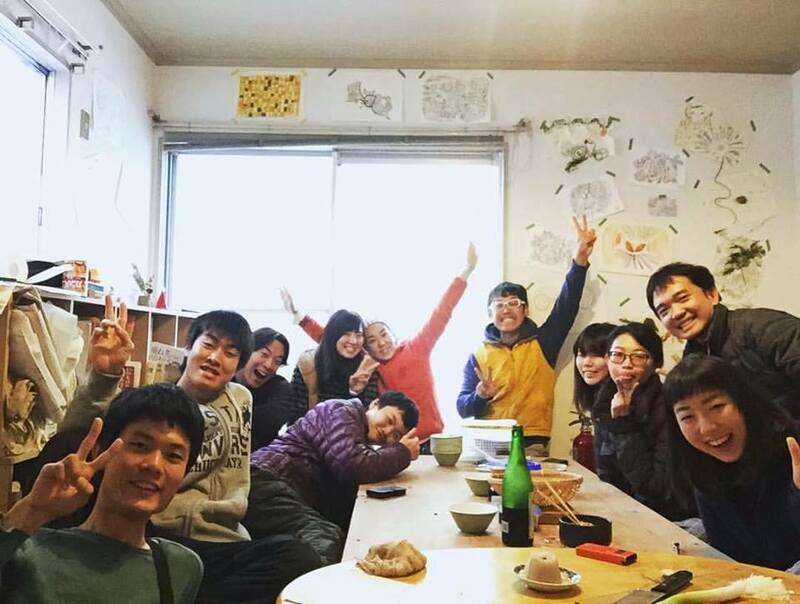 What advice would you give those who would like to WWOOF in Japan? I’ve been backpacking around for quite some time, to many places, but I feel that I gained the most out of my Japan WWOOFing experience. I guess you will only be able to understand the culture if you work closely with the locals and stay for a longer period. WWOOFing gives you the opportunity to do so. One advice is that you must be ready to get your hands dirty, be ready to try new things, ready to get out of your comfort zone and adapt to things. Only then you will be able to gain the most out of your trip. Not all WWOOFing hosts are nice, there are some that treat WWOOFers like cheap labour. Always read reviews first and have some backup plans in mind. 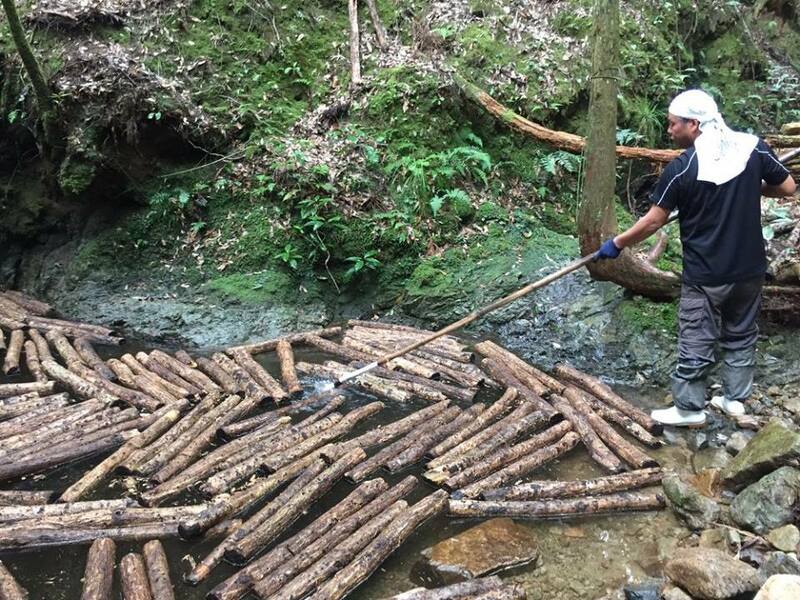 Japanese are so hardworking, even though by right, WWOOFers are only supposed to work 6 hours per day, there are many times where we are required to work more than that. To me, it doesn’t really matter as long as I’m learning something, or I know how kind the hosts are and I simply want to help them. But I guess if you are really tired, you can let the hosts know, most hosts are understanding people. Bring insert repellent, wear long sleeves and pants for farming. The mosquitoes there are so annoying. To explore Shermain’s past and current adventures, follow her blog here. We emailed a few farms based on some factors, such as the type of activities, minimum required length of stay, etc, and our Kagoshima host was the fastest in replying us that he was available to host us. The host also had great feedback and we liked how its range of activities included not just vegetables farming but also poultry and cafe work. For our Hirakata farm, we liked how there were feedback which said you could learn alot about organic farming from the host and he is really passionate about organic farming. However, we couldn’t stay 3 months straight with the Hirakata host. Hence, after 2 weeks, we had to go somewhere else before returning to continue for another 2 months. 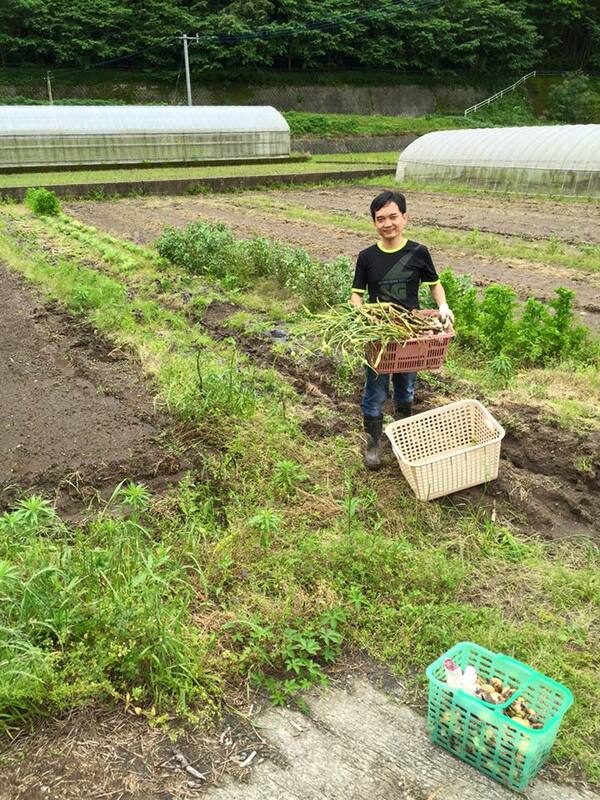 That was why we ended up WWOOFing in our next farm in Izumi City, which was also within Osaka prefecture. 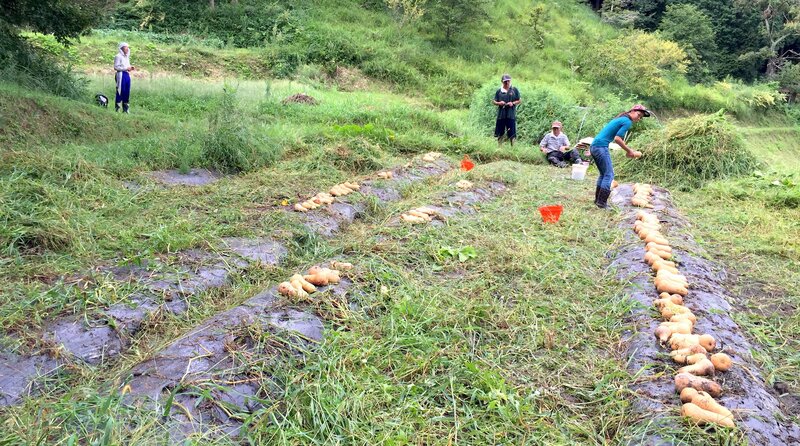 Our Azumino farm had always been one of our top choices. 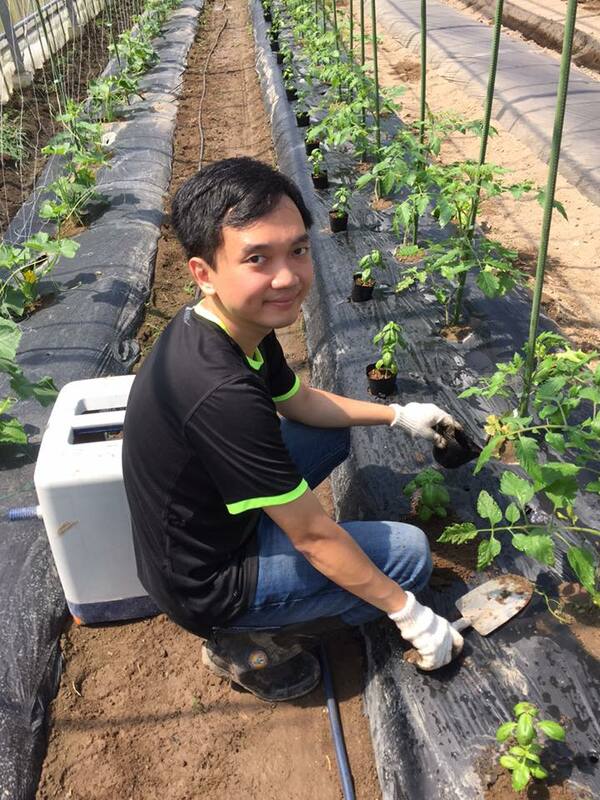 We first learnt about this farm from this blog (Wow, another Singaporean!) but we were even more sold from the huge range of work written on the host’s WWOOF page and amazing feedback from past WWOOFers who shared about the warmth they received from the host and his family. However, once again we couldn’t stay at this Azumino farm till we returned to Singapore on 14 Jan as the host always works in a sake brewery from the start of the new year. 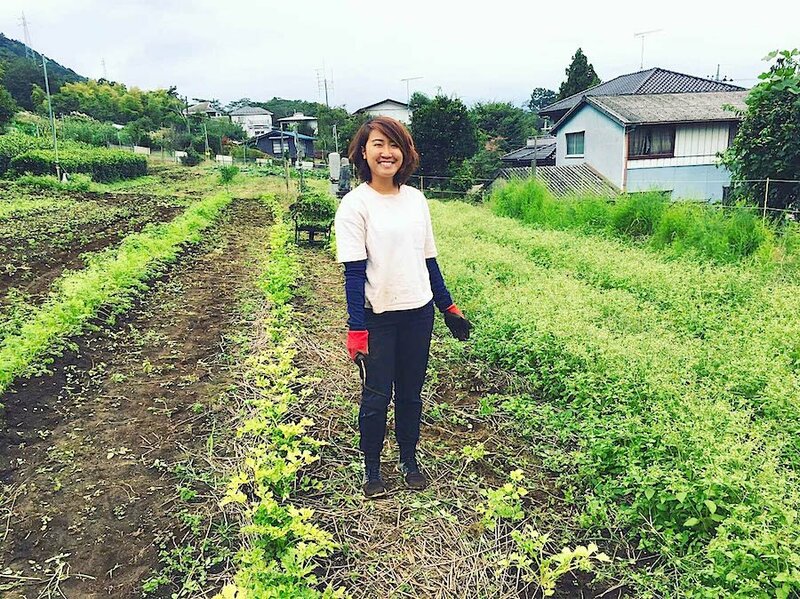 Hence, we chose the Fujino farm, which we mainly decided based on Olivia’s experience and write-up on her blog, and proximity to the airport. It would be the Azumino farm (h4316). Despite having relatively less farming work because we came during early winter, we enjoyed the variety of work, some of which were new and meaningful experiences for us. It was a good chance to pluck feathers from chickens and ducks, extract and clean out their innards and pack them up for sale. We helped to renovate the host’s new house and restaurant where we had opportunities to figure out building and carpentry problems together with the host and other volunteers. We were at times blown away by the host’s resourcefulness and felt very much inspired by the amount of work he has done so far after only being a farmer for just 10 years. The host’s smart crop decisions also enabled a near self-sufficiency for his family, something we thought very hard to accomplish. This farm grows its own rice: 3 types somemore, normal rice, rice for mochi (an important ingredient in Japanese food culture), rice for making sake. The farmer also grows rapeseed and egomma to make oil, soy beans to make miso, wheat to make flour, his own red beans, natto, etc. Even the tea we drank daily were made from barley grown and roasted in-house! In the future, the host will be moving to a new house and restaurant which will also include a wide space in the nearby forest where the farmer hopes to harvest mushrooms, create a space for more people to experience farming and a play area for children to enjoy nature. Most importantly, what we enjoyed the most was the interactions we had with the host’s family, other WWOOFers and people in the community. Perhaps it was the dynamics of this family having a very adorable daughter and other like-minded volunteers that engendered many laughters and fostered many meaningful conversations. Lastly, another reason for loving this farm was its gorgeous views of mountains in nearly any direction we faced. This area is sort of sandwiched by the Japan Alps and another range of mountains. I don’t have the exact figures but we spent alot on our meals like when we head out during our day-offs and sometimes buying extra groceries. We tried our best to look for meals that cost about 1000yen or SGD12. Having a deeper understanding of Japan’s culture and food. 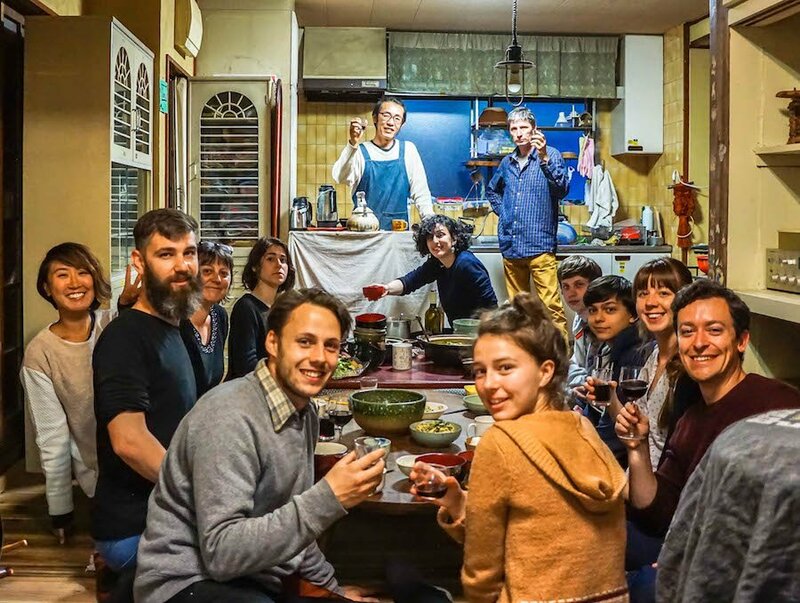 If we had not been on this WWOOF programme, we would never have had the chance to stay in a Japanese home and have a taste of traditional Japanese home-cooked food, etc. We also got the chance to interact with people from different parts of the world thus getting insights of their culture and best of all making new friends. Ken: I want to add another point. No doubt it would take a more sociable person to decide to be a WWOOF host, but WWOOFing may not be like a homestay programme, which could have specific hosts who would warmly welcome you with a big smile from Day 1. Don’t worry, the hosts will definitely take care of your basic needs. But for me, the highlight was to be able to have our hosts warm up to us and also seeing the trust that was slowly built as our hosts entrusted us to do certain work on our own even though we may be unsure the first time. Kagoshima’s port is where you can take ferries to several off-the-grid southern islands. We went to one which was Yakushima, an island that was literally an entire super lush forest and packed full of mountains. For those who know, the forest in Yakushima inspired the setting for the Studio Ghibli film, Princess Mononoke. The host had worked on another farm for 5 years before coming out to strike on his own. 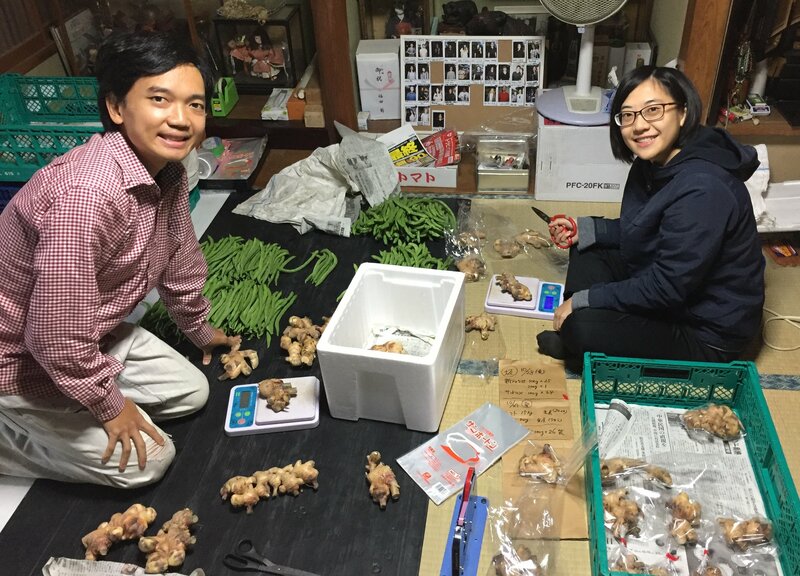 As such, we discovered much about the struggles of being a start-up farmer in Japan. Despite several challenges, the host is much driven to grow the best and healthiest produce. He taught us a few key principles in farming and it was also here where we witnessed how our host scientifically tested his soil for essential elements (beyond just NPK) so that he could buy and balance the right nutrients for the respective crops he would be growing. He even sent in his tomatoes for a test which assessed his tomatoes to be much better than other good tomatoes in terms of nutrition and sweetness. Such dedication! This farm is also located roughly in the middle between Osaka and Kyoto, easily accessible for one wanting to explore these two places. We ventured deep into a forest to cultivate Shiitake mushrooms. We plucked mushrooms fresh off the logs, moved mushroom logs to prepare for resting and harvest, and even threw logs from a high place into a pond to wake up sleeping logs with a big splash. For animal-lovers, the host also kept a family of 9 goats. 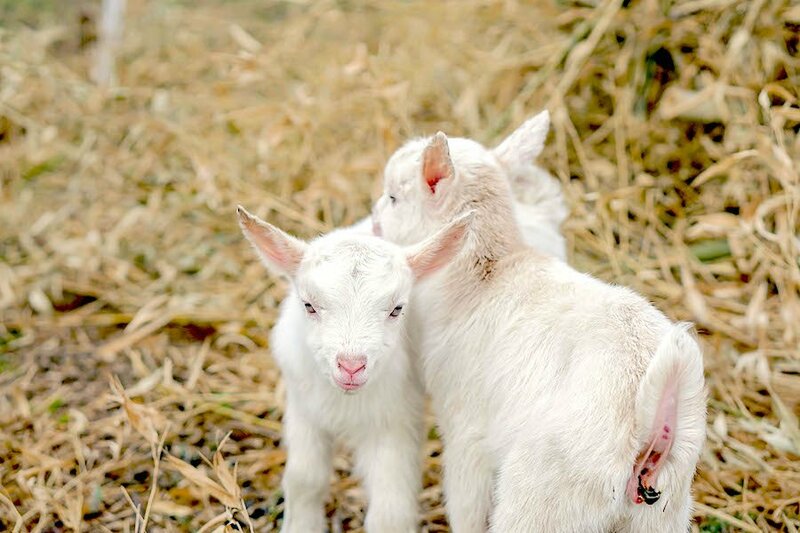 One of the mothers even gave birth to two kids recently! Anime and manga-lovers will definitely crack up in serious bouts of laughter from the jokes made by the host with reference to anime and manga. Fujino is a town which lived people who have high aspirations. It is here where we met the most diverse Japanese people, for example, we met a guy who founded an NPO to level up the skills of children living in poor communities in Philippines, we stayed over at a youth camp organized by a couple who built a mobile base to bring play to children in different communities, and had a curry fight with another Japanese who stayed more than 2 years in India learning the culture of a specific indigenous tribe. Yes, we would love to but probably not as long as this 8 month long trip in Japan. It would probably be a couple of weeks in the country in which we choose to holiday in. We will also likely want to visit our past WWOOF hosts again and help out on their farms. Don’t miss your chance to visit places of interests near your host. Plan ahead. We nearly missed out on visiting an awesome place called Kamikochi, within the Japan Alps which were closed for 4 days after we reached our Azumino farm. But don’t beat yourself up if you miss them ok. 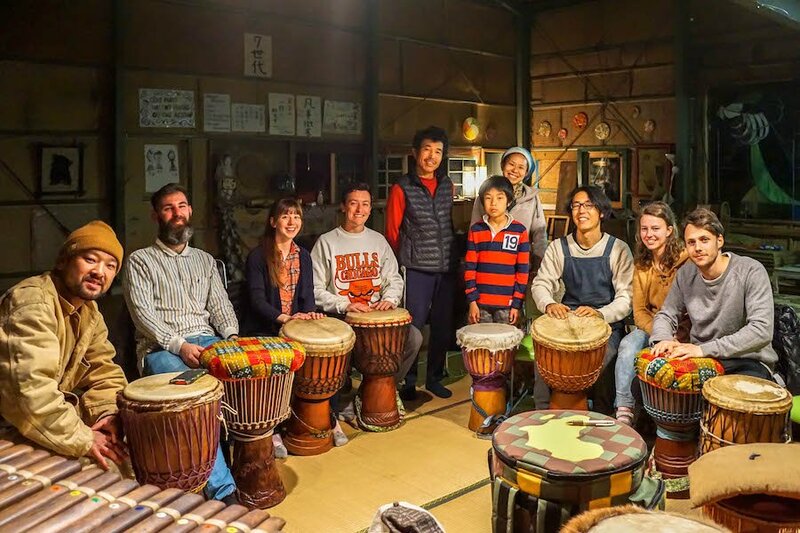 While I would say it is totally fine if you have never learnt the Japanese language, we found the experience to be richer being able to converse a bit deeper with our host, the family and people in the community. We could be learning about the “why” of doing certain things instead of basic instructions to do “what” and “how” or we could be listening more behind certain issues that the host faces or have an opinion on. We certainly don’t mind sharing some tips or practicing for anyone interested to learn more about the language. Learning and practicing some simple recipes would be good as some hosts only provide the cooking ingredients. All the farms we went had some spare boots or gloves. Summer seems to be a popular season for WWOOFing, so book your host early. More than 2 months earlier if possible. 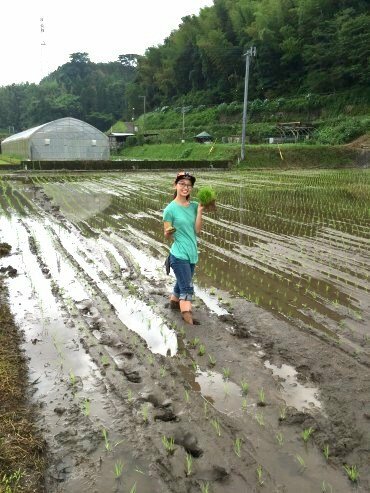 To read more about Ken and Kai Ni’s farming journey, please visit their blog here!